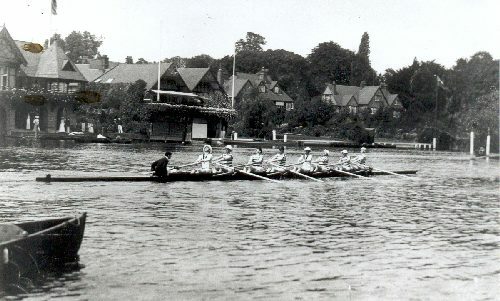 DUBC boat at Henley, 1903, winners of the Thames Cup. Here training. 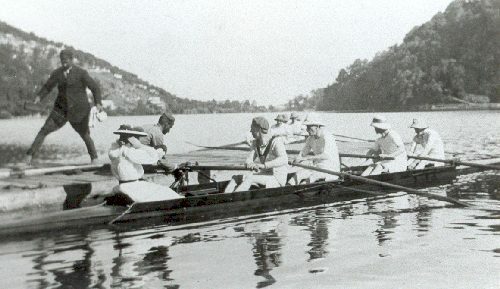 Some of the crew relaxing at Henley, 1903. 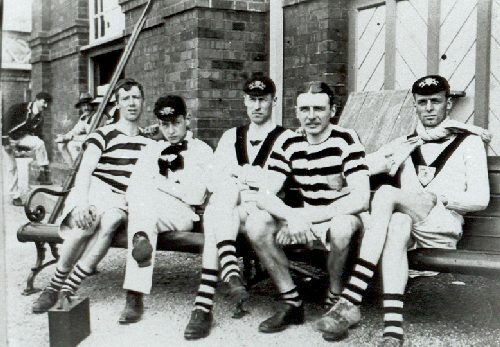 L to R: Jack du P. Langrishe, Emerson Bate, Frank Usher (captain that year), Mick Leahy and Arthur McNeight. 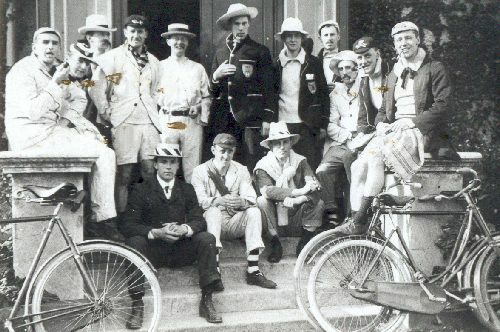 DUBC group in Dublin, probably 1904, venue unknown (obviously the Boat Club). Jack Langrishe is at the extreme right but no other men are positively identified. Perhaps an analysis of the different caps and blazers would help. 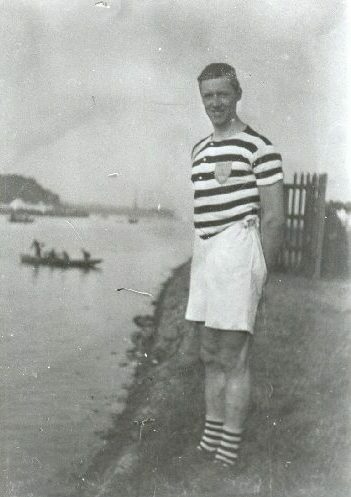 Jack Langrishe beside the Liffey, c1904. (Ringsend?). He captained the Boat Club that year (actually, Leahy did. Langrishe was captain in 1906). He had entered TCD in 1901 aged 18 and graduated in 1906. After graduating Langrishe joined the R.A.M.C. (Royal Army Medical Corps) He was posted to India in 1908 and was for some time attached as M.O. (Medical Officer) to the 6th Inniskilling Dragoons. At Christmas 1909 he had some leave at Naini Tal, a hill station in the foothills of the Himalayas, where a rowing regatta was held on the lake. Langrishe, here wearing his DUBC sweater, stroked the R.A.M.C. four to victory. Note the young lady cox. 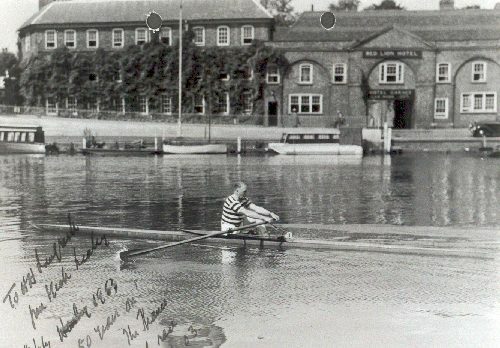 In 1953 Mick Leahy returned to Henley and sculled the course to commemorate his participation in the great D.U.B.C. victory fifty years before. By this time J. du P. L. was dead but Leahy kindly sent this photograph to H.H. Langrishe, Jack’s elder brother, who had graduated from TCD as long ago as 1893.